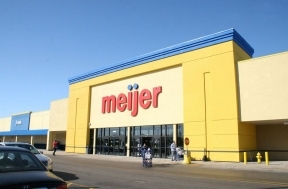 Meijer announced that it’s continuing to up its fashion game with the spring launch of a SKECHERS concept shop inside the Knapp’s Corner Meijer, roughly one year after the retailer unveiled a fresh approach to lure grocery customers across the center aisle to its apparel offerings. Meijer has offered the popular SKECHERS shoe brand for more than a decade and hopes to enhance the shoe-buying experience for its trend-savvy customers. The 804-square-foot SKECHERS concept shop at the Knapp’s Corner Meijer is a pilot project that may be incorporated into select future store remodel or new store plans. It is also the newest – and largest – shop of its kind within a retailer nationwide with more than 200 of the latest shoe styles for men, women and children on display. The SKECHERS concept shop will feature four video screens to present product information and lifestyle news, including celebrity endorsements of SKECHERS shoes. A grand opening celebration will be held at the concept shop from noon to 4 p.m. March 21 and will include giveaways, shoe experts from Meijer and SKECHERS, and photos with mascots Crash from the Grand Rapids Whitecaps and Griff from the Grand Rapids Griffins.